There's a trend currently doing the rounds where people take a photo of some lace that's covered in rubbish, then clean it all up and tae a photo of it cleaned, then post them online. They could have been doing that. As far as online trends go, it's definitely one of the better ones. 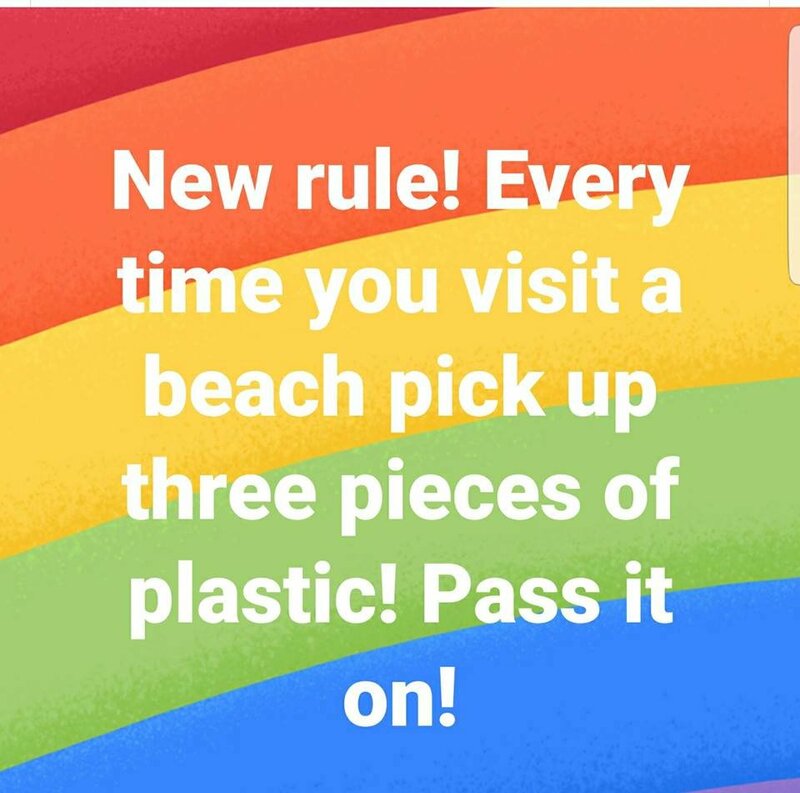 Very commendable, but Thai tourists, who we all know are responsible for most of the littering, will think "Stupid falang clear rubbish, so ok to throw". I've been trying for twelve years now to get my Thai wife and stepdaughter to be tidy, but the more I try to teach by example, the less tidy they become. The only way the Thais will stop littering is if you hit them in the pocket, HARD! This is a report from the Red Cross following the tsunami. "At least two pre-registered INGOs surveyed also encountered problems in increasing staff numbers in support of tsunami relief efforts. TICA and the Ministry of Labour had allocated quotas on the numbers of foreign staff for individual organisations and would not issue additional visas and work permits. The additional staff arrived anyway and had to operate with tourist visas until they were eventually able to obtain business visas and work permits." Are they that hardworking at home? Rubbish is everyones problem, I applaud your view. "Volunteers"?? Work permits?? They paid to do the work! Maybe they should have applied for work permits and the Govt. could have paid them? Good on them for helping to clean up the mess. Slightly O.T. - The Philippines closed Boracay Island last year and cleaned up their 'dump', what has the Thai Government (or local authorities) learned from that, re Koh Samui? NOTHING? in a culture that is all about status quo, tradition and resistance to change, you might wish to re-think your statement about “give it time”. i used to pick up rubbish, fix holes in the road, fit peoples water pipes, dig drainage and basicallly help out with everything. I nolonger do so because local officials tried to have me deported. Police, gov officials and local people all got together to get rid of my family and why? Because they feel we think we are better because we would do these things. Let that be a lesson to all. Do nothing for thais until things change. I say light more fires, faster speed zones, military drug dealing governments, etc. I'll sit around and enjoy the show.